Over the weekend of February 7th, I went to Madison, Wisconsin for my friend, Rory’s birthday. After going out to the bars on Friday night, I woke up on Saturday feeling surprisingly good. As I walked over to the bathroom to brush my teeth, I met Rory’s housemate, Becca, for the first time. After introducing myself and explaining why I was in her house, she told me that she and some friends were participating in the Madison Polar Plunge, which involves jumping into a freezing pond. Without a moment’s notice, I asked if I could participate and she said yes. 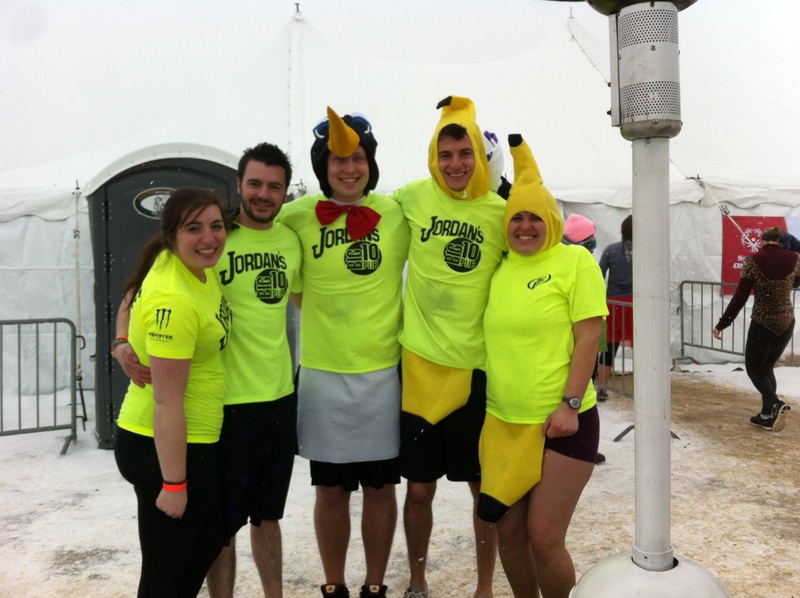 The polar plunge raised money for Special Olympics and required a $75 donation. 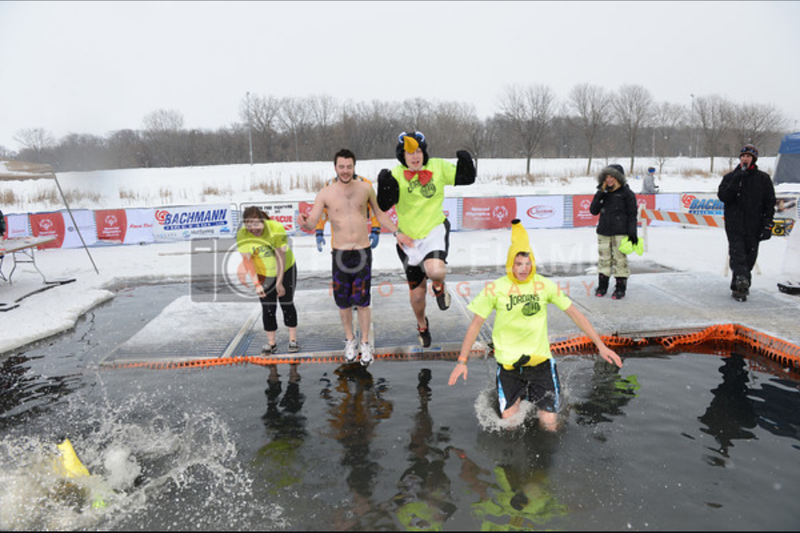 Luckily, my new friends had raised enough money so that I did not have to pay anything to plunge. They were part of a larger team of employees of a local sports bar and pooled their tips for a week, totaling around $1,000. Although everyone pooled their tips, only 4 employees were brave enough to jump. I became the fifth member of the team. Before we left the house, we all got into our costumes. I was given a banana suit to wear. We had one other banana and one penguin jumping too. Wisconsin in the winter is cold! After getting ready, we drove over to the pond, which about 10 minutes east of downtown Madison. 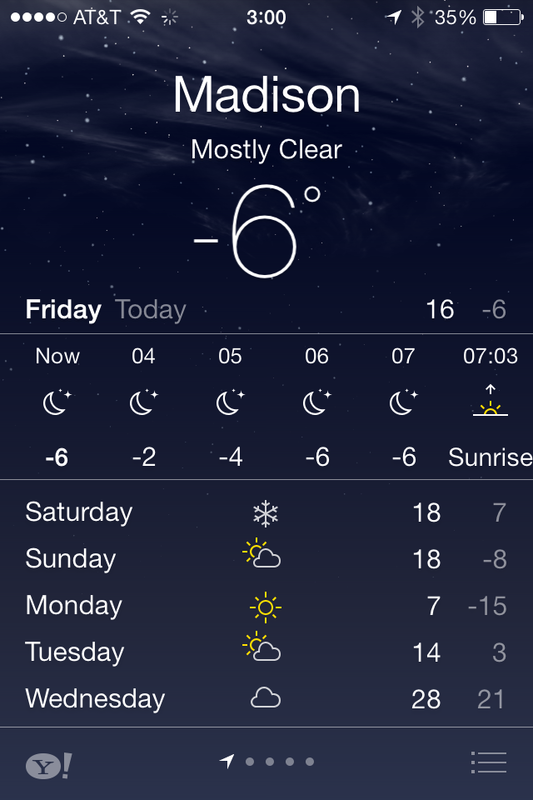 The air temperature was 5 degrees. Because we were in Wisconsin, we immediately went to the nearby heated beer tent and started drinking just before 10 AM. 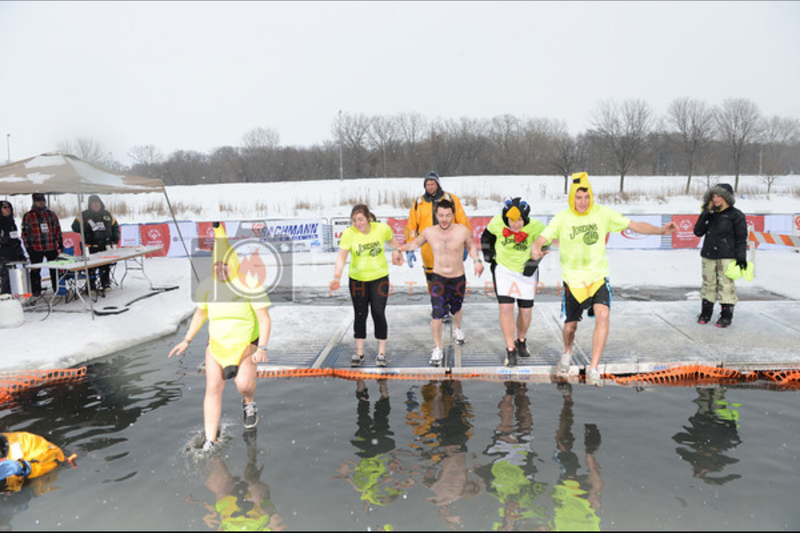 The goal was to be not sober when making the plunge. After drinking a few beers each and dancing to the live music, we went over to the registration tent to check in. Our plunge time was 11:54 AM, which gave us another hour to keep drinking. Finally, at about 11:40, we walked over to the changing tent and got into our costumes. We then huddled under some heaters before walking down the pathway to the pond, which was cutout from the surrounding ice. The water was black, smelled like sewage, and was 33 degrees. 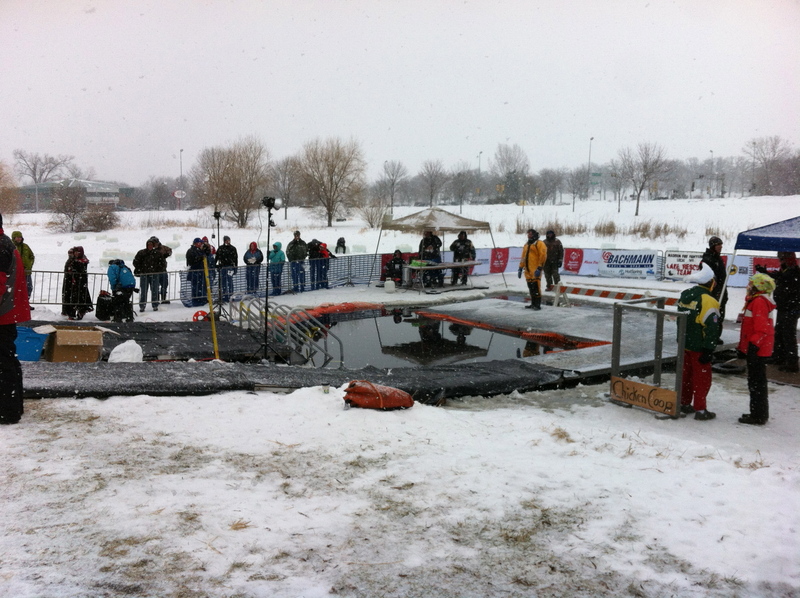 In the pond, there was a man in a dry suit making sure people stay safe. On the far side of the pond, there was a platform with an announcer. As we walked up to the platform, she asked us if we had any last words before giving us the countdown: 3..2..1…Plunge! Suddenly we were in the chest deep water. It was very very very cold. As soon as my head surfaced, I immediately swam over to the stairs at the far side of the pond then climbed out after 8 seconds in the cold water. However, the air was much colder than the water, so I then ran over to the lukewarm hot tub and jumped in. After all five of us made it in, we laughed and had a group hug. After changing back into our regular clothes, we celebrated in traditional Wisconsin fashion by drinking more alcohol! Despite being horrifically cold for about 15 seconds, the Polar Plunge was a fantastically fun day. Everyone was in a great mood. I would recommend that everyone should be brave and take the plunge. I really cannot thank Becca, Lucas, and everyone at Jordan’s Big 10 Pub enough for the opportunity! I feel like every picture I see of you is in a banana suit.